BNP Paribas Real Estate is a significant player in the residential property market. Combining specialist sector knowledge, while being part of a global banking network, enables them to reach clients all over the world. 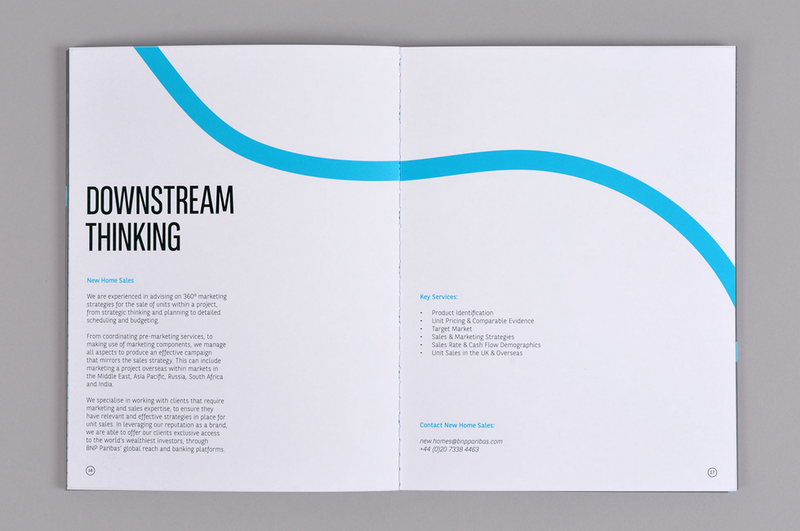 BNP appointed Ideas Factory to create a brochure that reflected their status, outlined their offer and summarised their process, as well as introducing their team. Intended as an overview, there was an emphasis on producing an item with a high level of perceived value and presence; communicating the gravitas of the company while also engaging the audience. 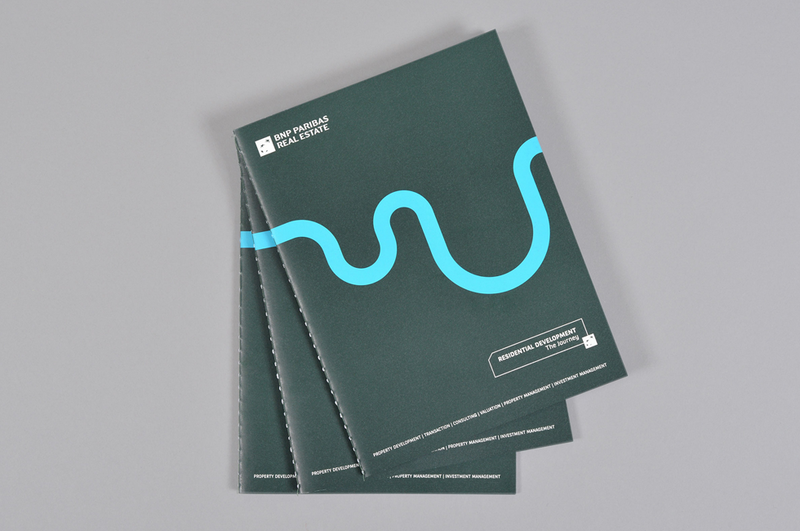 The journey a river takes from its source to estuary is the perfect analogy to convey the process a property development undertakes. 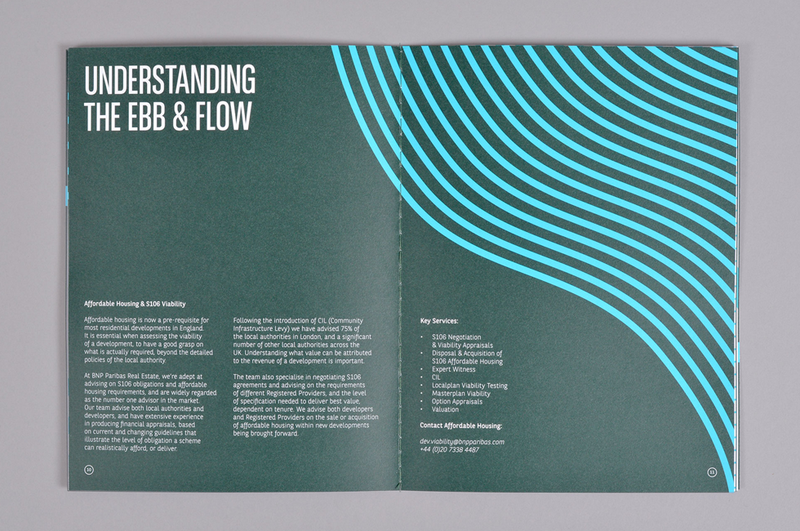 Working within their existing guidelines, each spread effectively communicated BNP Paribas Real Estate’s services and introduced their various departments, while consistently referencing the related journey throughout the thoughtful use of copy and illustrations. 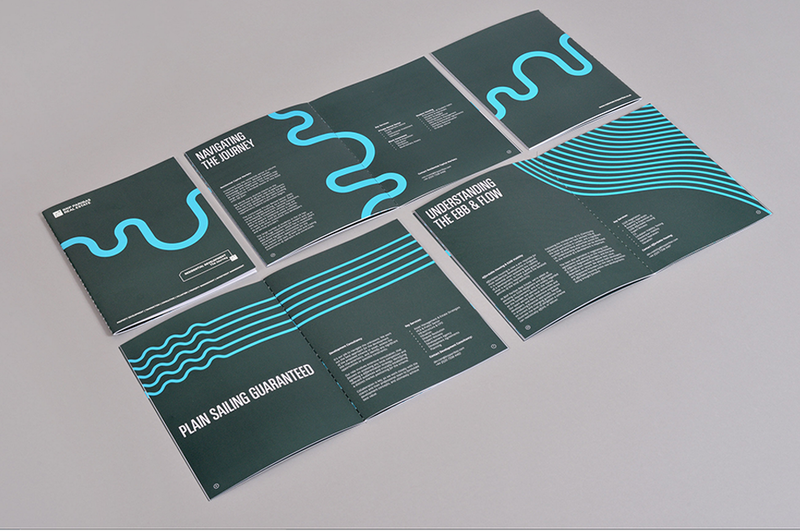 Incorporating BNP Paribas’ rich brand green with a complementary vibrant blue, created a striking colour palette that positively aligned with a bold vector illustration style. 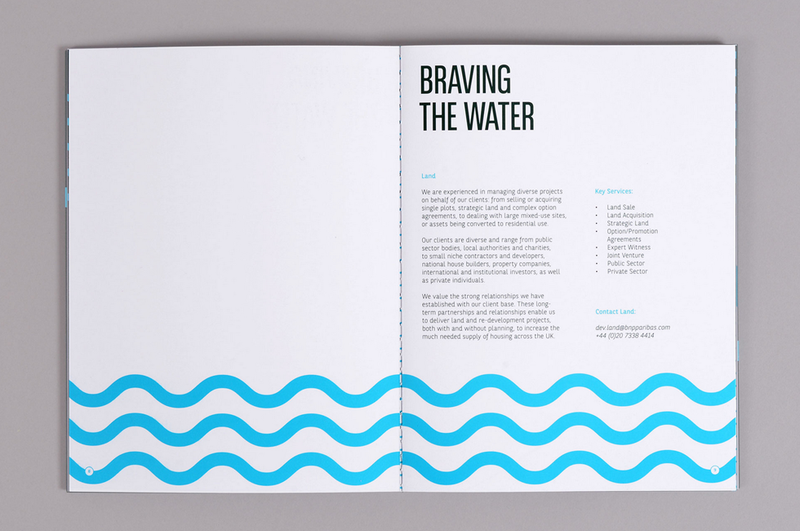 Finishing included printing Pantone spot colours on Fedrigoni paper with a singer sewn binding method, all of which contributed towards creating a sophisticated result.